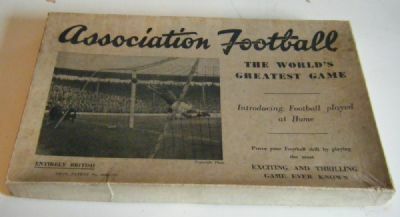 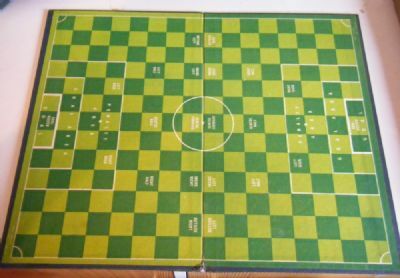 A lovely old classic British made football game. 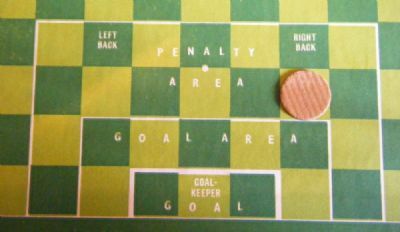 1940s or 1950s in the common checkerboard pitch format with printed pieces. 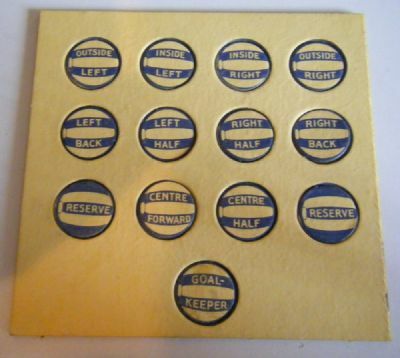 Nicely marked pitch and wooden disc ball.